THE Zimbabwe Republic Police (ZRP) and the Zimbabwe Electoral Commission (Zec) have pleaded with political parties in Matabeleland North province to exercise tolerance and peace ahead of the July 30 elections. This came out during a stakeholders’ meeting held in Bulawayo last Friday where the parties committed to abide by the electoral code of conduct ahead of the polls. Police Assistant Commissioner Jonathan Chituku urged political parties to carry out their campaigns peacefully to avoid unnecessary confrontations. “Let us carry out our campaigns peacefully; we do not want to waste much of our time making follow ups unnecessarily on issues which could have been avoided, so as an organisation we are saying no to politically motivated violence”, he said. He urged the parties to adhere to the code of conduct to avoid being at the wrong end of the law and being arrested. Zec commissioner, Sibongile Ndlovu appealed to the parties to increase their level of tolerance for each other. “Our role as the election commission in the province is to make sure that the election goes smoothly and that can only happen if we, as political parties are tolerant to each other, let us agree that we hold different political views but co-exist. “We are one people first before we are political parties, let us make sure we tolerate each other, if there are issues now, let us sort them out now so that we have a clean election,” Ndlovu said. 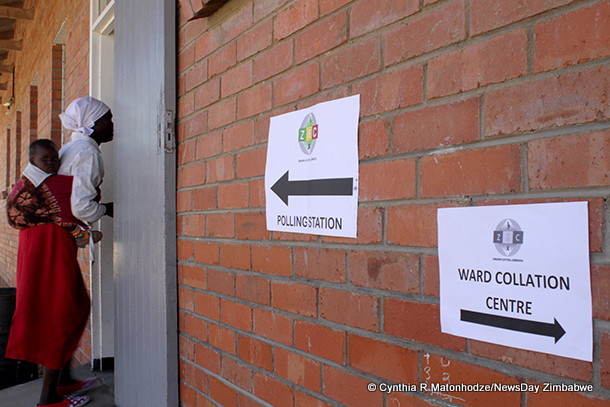 Zec provincial elections officer, Mark Ndlovu said the engagement was meant to promote a conducive environment for the elections. “We managed to discuss a number of issues and we seem to have raised a consensus on all issues they were raising on our WhatsApp platform, we are agreed that as they go back to their constituencies or wards they will respect those who differ from their opinion. He said the commission was happy with the level of tolerance among the political parties and progress. Ndlovu, however, said they were yet to resolve disputes over involvement of traditional leaders in political matters.